Dian Nuswantoro University (Udinus) got a predicate the 3rd best Private Universities in Indonesia by webometric. With that achievement, more steps must be taken, to maintain public trust. One of them is by still controlling the market of Central Java. 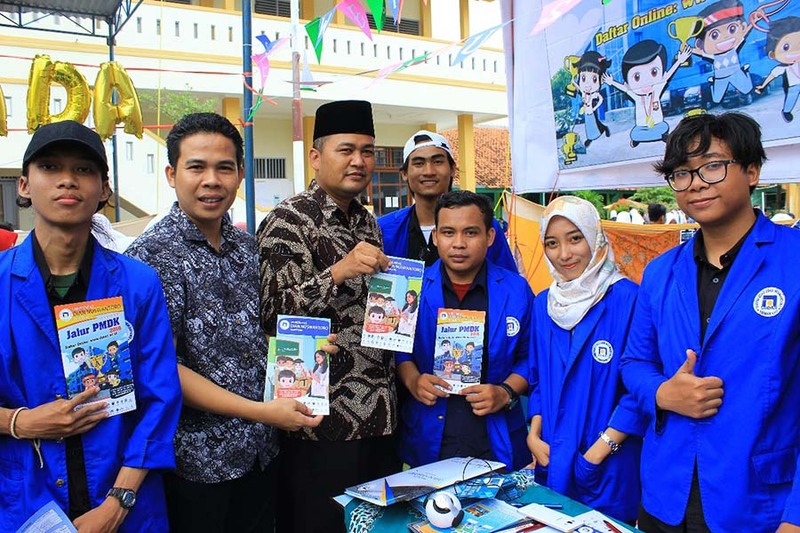 To make it come true, Udinus Admission Bureau in collaboration with Keluarga Pelajar Mahasiswa Daerah Brebes (KPMDB) participated in the expo held by 1 Larangan Senior High School Brebes, Central Java, on Sunday, February 4th. 30 universities from various regions in Indonesia participated in the expo that was held to celebrate the anniversary of 1 Larangan Senior High School Brebes Alumni association. “This expo is attended by hundreds of 12th graders, we will help them choose the type of study program that suitable for them after they are graduate." explained the Head of Udinus’ Admission bureau, Andi Halang Lewa, SS, MM. At the event, the members of KPMDB had a conversation with the Vice Regent of Brebes, Narjo, who visited Udinus’ stand. He asked KPMDB to bring Brebes to become more educated by joining Udinus, and also not to forget the hometown.